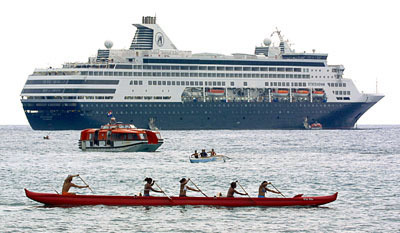 Canoe paddlers out for their afternoon practice on Kailua Bay as the cruise ship Statendam is anchored off-shore. The orange life boat/shuttle boats taking passengers to and from the shore. A pretty slow and lazy Monday afternoon, unless you’ve got a paddling coach whipping you into shape. 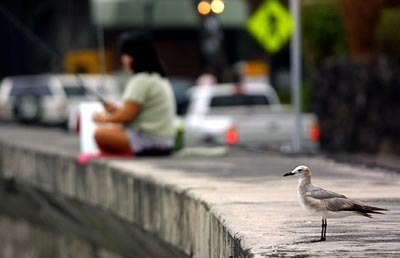 This seabird seemed to be pretty content standing on the seawall on Alii Drive next to people fishing, maybe waiting for the schools of fish that go after the bait. 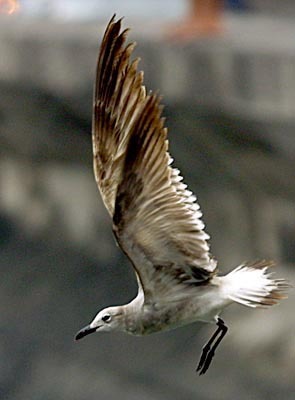 The bird launches off the seawall. 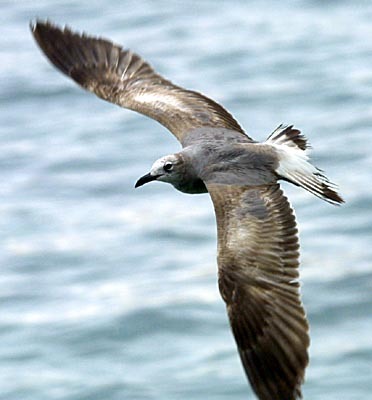 Making circular, sweeping passes over the water in front of the fishermen the bird flies around then land to rest, then flies around some more perhaps looking for a swimming treat. 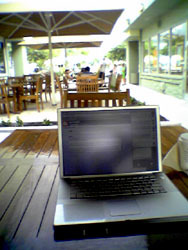 Today’s blog was updated sitting outside Jamba Juice in Kona where the admin office of the Kona Coast Shopping Center has a Wi-Fi router mounted on the wall that anyone can access for getting on the net. For wireless geeks, this is an 802.11g access point which means it’s super-fast. Use it but don’t abuse it. Previous PostPrevious Breaking the law, breaking the law….